Without a doubt, the best way to get health benefits is a balanced diet that relies on real food. However, there are many cases where protein powders and meal replacement shakes can be a valuable addition. In particular, these can often help to promote weight loss and ensure that you get all the vitamins and minerals that you need. The protein is also particularly relevant for anyone trying to gain muscle, along with those who simply want to feel less hungry. This resource page provides a list of some of the best such products that have been examined across this site. The links provided are affiliate links, meaning that I receive a small commission from sales but this doesn't impact the cost to you. Nor does the approach affect which brands I focus on. Skip to the Comparison Table! One of the most popular whey protein choices. The brand has a wide range of flavors and sizes of Gold Standard Whey at reasonable prices. The main selling point with Naked Whe﻿﻿y is the lack of additives - making it a great choice for protein. The low fat and sugar content makes Legion Whey+ very relevant for weight loss. But, it does contain xanthan gum and stevia. Isopure Low Carb is targeted at low carb and keto dieters. For that matter, the unflavored version is carb free. Although it sells poorly on Amazon, this GNC product is still popular and effective. The main advantage of EAS 100% Whey is that it is fairly inexpensive. Plus, it tends to be readily available. Plant-based protein powders have advantages and disadvantages when compared to whey. While they are not a complete protein source, this type of powder can still be effective. Additionally, plant-based options are better for those sensitive to dairy and are often easier to digest. The biggest downside is that most contain some type of sweetener and may be more processed than whey options. Still, for many, plant-based powders are worth trying out. With a mixed source of protein, this powder has a good amino acid balance. The protein powde﻿r is also soy-free, organic and non-GMO - although sweeteners are used. This choice is more expensive than most but PlantFusion Organic does contain fermented ingredients. As such, it may promote gut health. The combination of pea and brown rice is particularly good for amino acid composition and texture. At the same time, this protein powder offers an attractive balance of price and nutrition. Unlike many other products, this Warrior Blend uses MCTs from coconut oil for greater potential benefits. The mixed protein source results in a powerful amino acid balance. This Nutiva Hemp Protein is fairly natural with relatively few added ingredients. Some people also enjoy the flavor profile. However, hemp does have its limitations, especially as the balance of macros is different than many other shakes. There are a few differences with this Garden of Life powder, including the use of sprouted ingredients, along with a probiotic and enzyme blend. Those aspects do make this more expensive but the additional benefits can be worth the cost. Meal replacement options are specifically designed as an alternative to a meal (often breakfast). As such, they typically contain a higher number of calories, along with a range of added vitamins and minerals. This makes them powerful for weight loss but does mean that they are often more processed. Additionally, you need to choose brands carefully, as some have a lot of sugar or additives. This is an attractive option for a dairy-based protein shake, especially as the sugar content is relatively low. It also fares well in independent testing - which is another key reason to consider it. This powder is popular because of the flavor and the company. It fairly high in sugar. But, this may be appealing if you want that extra sweetness. This is a vegan meal replacement option and contains nutrients from a range of fruit and vegetables. Vega On﻿﻿e is another vegan brand. It is considerably lower in sugar than Vegan Smart and uses stevia for some of the sweetness. This is the meal replacement version from Garden of Life and has the same raw & natural focus as their protein powder. The product also contains probiotics and enzymes, along with various fruit and vegetable components. Unlike the other options, Premier Protein is a ready-to-drink product. As such, it contains more compounds and is designed to be shelf-stable. 18 Shake is a popular brand and many people enjoy the flavor and texture. It is on the expensive side and is lower in protein than the other products but is still an attractive choice. Nutritionally, 310 Nutrition is similar to 18 Shake, although this is a plant-based option. 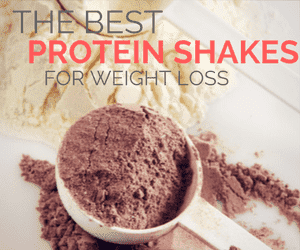 The protein is relatively low here too but the shake does taste good.